We are an argentina mature couple, living and working as professionals in Buenos Aires. This is an exciting city, where you can find anything you want, from tango shows, to superb restaurants; our advice is to taste the Argentina beef, probably the best in the world. But the city is plenty of locals with all types of cuisine, from Thai to French, Japan to Peruvian, and many Spanish and Italian restaurants. Buenos Aires cultural life is among the most intense of all America, with more than 300 theatres (Teatro Colon is the main one, and there are a lot on Avenida Corrientes and all around the city) and many museums. A particular landmark are the Buenos Aires cafés, which you can find in any neighborhood, and where you can hear, at any table, a different solutions for humankind problems being debated! 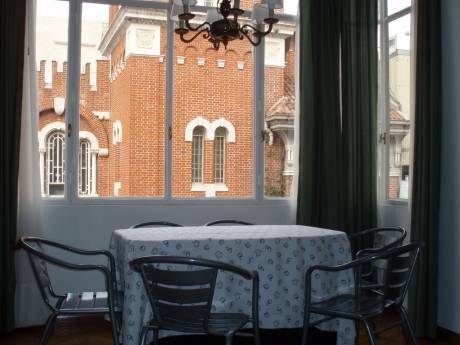 We offer for exchange a bright and very well located apartment, in Recoleta, one of the most elegant neighborhoods in Buenos Aires. This zone is a high class residential and commercial district, and the property is only half block from Santa Fe Ave.
Transportation is excellent, only one block from the subway, and many other public transport are available pretty close. In a 1sh. floor, the apartment is sunny and with a nice view of the street and the park which is sideways, half a block. The balcony faces the street. With 68 sq meters, it has two bedrooms, one with a double bed, and another with two singles, fully equipped with linen and towels. There is ample storage place. The kitchen is complete with all the usual appliances, as natural gas kitchen and oven, microwave, large refrigerator with freezer, toaster, cooking set, washing machine, etc. There is comfortable living and dining room with two berger sofas and a large sofa. Complete bathroom with bathtub, marbled vanitory, and a smmaller restroom for visits. Long balcony. Air conditioned, DVD, High Speed Internet, cable TV, phone, and a modern styled furnishing. We will be glade to receive you and help to do your visit to Buenos Aires an unforgettable experience. We are an Argentine couple, both professionals working in Buenos Aires, and we love traveling and visiting new places. My wife was born in Cordoba (center of Argentina) and I am a "porteño" which means born in Buenos Aires, but we lived in several parts of the Argentina and also in Venezuela. This apartment was our elder son home, before he moved to live in London. 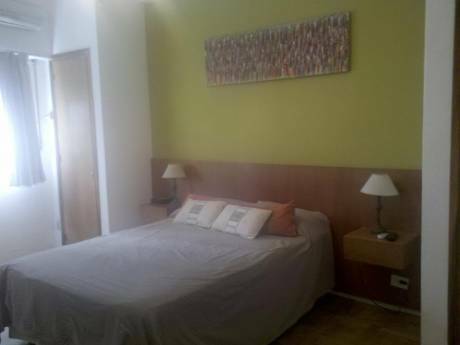 As we are not living in this apartment, there is flexible availability of it, up to an occupancy of 4 persons with a double bed in the main bedroom and two singles in the second one. Buenos Aires offers very good public transportation, and renting a car to visit places away from the city is easy; we are not including a car with the apartment. We like main cities of Europe, and visiting country zones nearby. We will be more than glad helping you to make your visit to Buenos Aires and unforgettable experience! 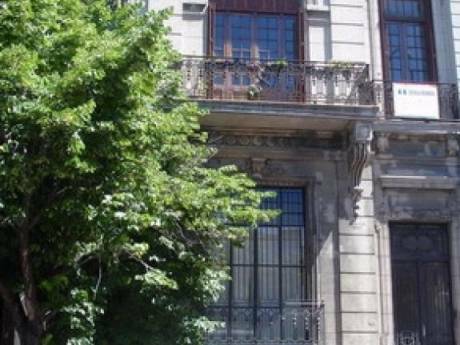 Recoleta is among the most elegant Buenos Aires neighborhoods, and the apartment is only 150 meters from Santa Fe, one of the best known avenues, very commercial with many stores, cinemas, book stores and restaurants. A large supermarket is only 100 meters away on the same street. At walking distance is the Recoleta square, with a spectacular green park with a cemetery among the main ones in the world (in fact Recoleta cemetery gathers the largest world outdoor collection of sculptures in occident) which worths a guided tour. Metro (called "subte" in B.A.) station is 100 meters from the apartment and many buses connecting to all places of the Capital Federal run by the adyacent streets. The weather is always mild, but with well marked seasons; we have almost no sub zero temps in the city, and summer afternoons may reach mid 30s (C). If you like European cities, you will find in Buenos Aires places which look like Paris (Ave. Alvear, French Embassy), Madrid (Avenida de Mayo) and so on, always with the distinctive Argentine touch.